Granite Countertops Orlando FL. 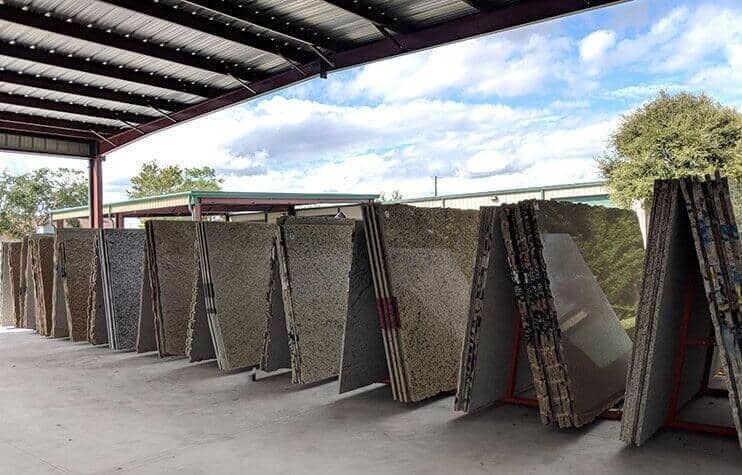 Quartz Countertops FL by Edstone Inc.
As the owner I personally oversee the measuring, manufacturing and installation of your custom Granite countertop for Kitchen and Bar countertops, Marble or Onyx vanity tops, bathtubs, shower floors, and shower wall panels. 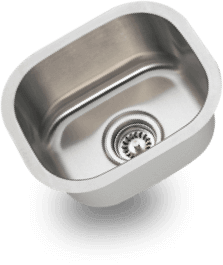 Edstone Inc offers superior quality products, exceptional attention to detail, and the utmost level of service and expertise. 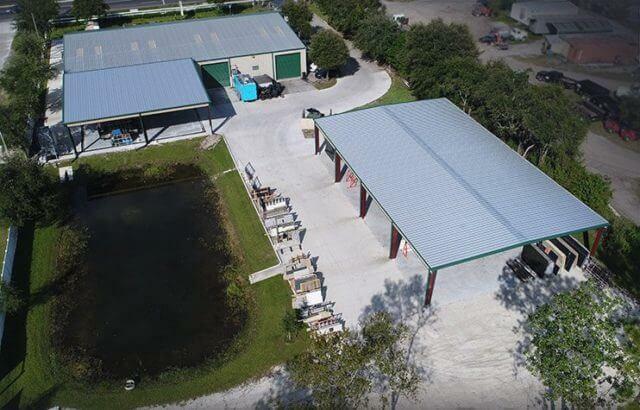 Our decades of experience and continued customer satisfaction speak for itself. We look forward to doing business with you for all of your remodeling or new construction needs. We offer a 1 Year Warranty on installation quality and labor for all our clients.We have an excellent choice of materials and designs for kitchen and venituies countertops. 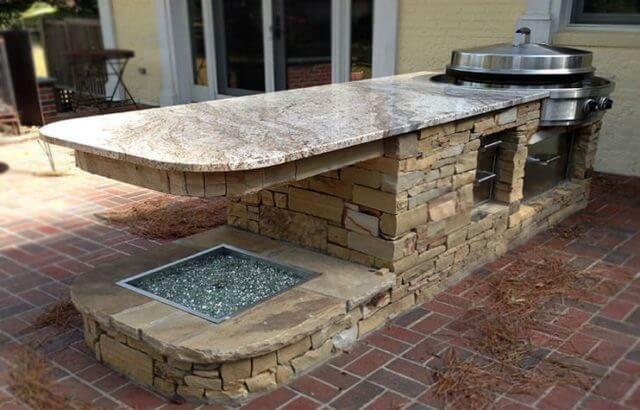 Stone, quarried from the mountains of Brazil, India, Italy, China, and dozens of other countries around the world. 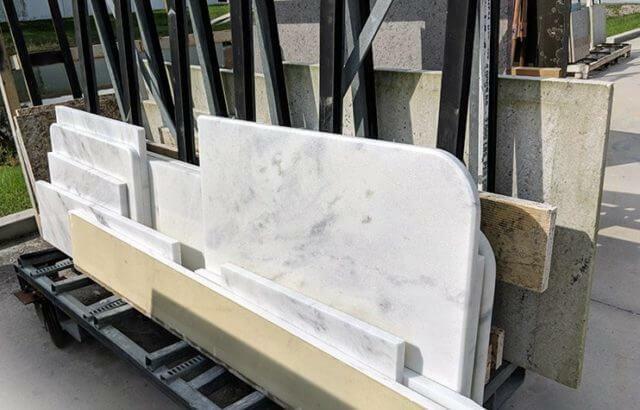 Custom maintains an inventory of Granite, Marble and Quartz. 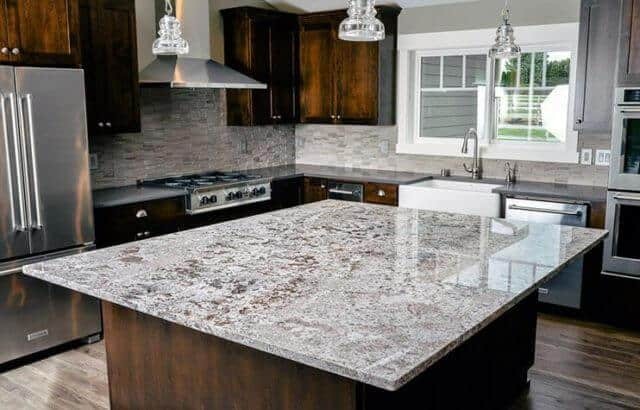 Edstone Inc supplying all types of stone countertops such as marble countertops, granite countertops or the latest engineered quartz stones available. 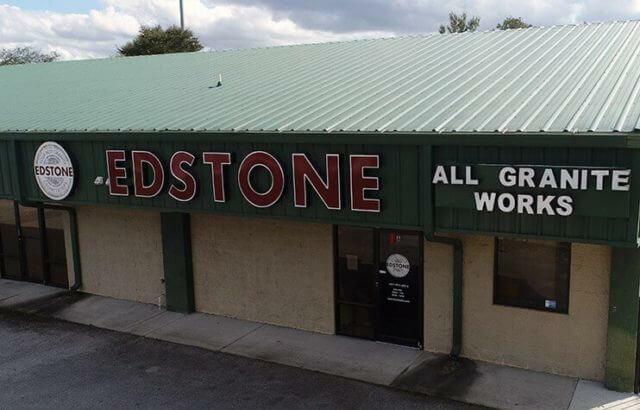 Edstone Inc is a leading supplier granite countertops in Orlando of Kitchen Countertops, Bathroomtops, Granite Countertops and more! Edstone Inc will create a modern masterpiece for you to enjoy for years to come. Give us a call for a free measure and quote for your next stone countertops, Kitchen kitchentops or bathroom vanities. Granite countertops is a beautiful material that brings elegancy and style into any kitchen or bathroom. 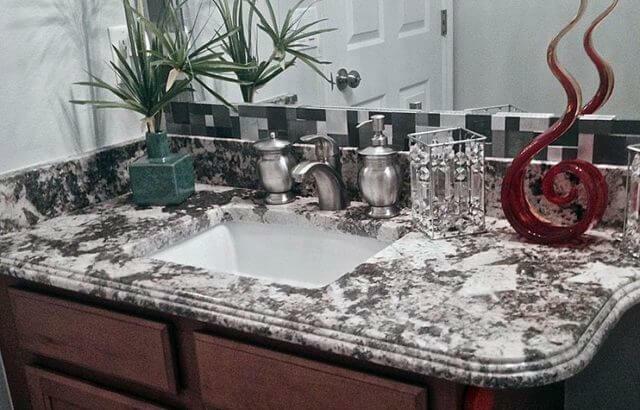 Granite countertops fit perfectly into any design or style with the wide variety of colors and patterns. Not only beautiful, but also durable and heat resistant, granite is a quality material that will serve you for years. It has to be noted, however, that if the granite is not sealed properly and is not taken care of, staining will occur. It isn’t the cheapest material either, but the sheer beauty and durability of the material make up for the cost. Quartz countertops is a durable material that will look gorgeous in any kitchen. Having a wide range of colors and textures to choose from, Quartz will satisfy any preferences. Since unlike Granite or Marble, Quartz is an engineered product, it has greater durability and variety in color and texture. Quartz is also a non-porous material, which prevents stains of any sort and bacteria growth on the countertop. It also has a harder surface, making it nearly impossible to scratch. However, prices for quality Quartz are high, but the gorgeous colors and decade’s worth of guaranteed quality make the price worth it. 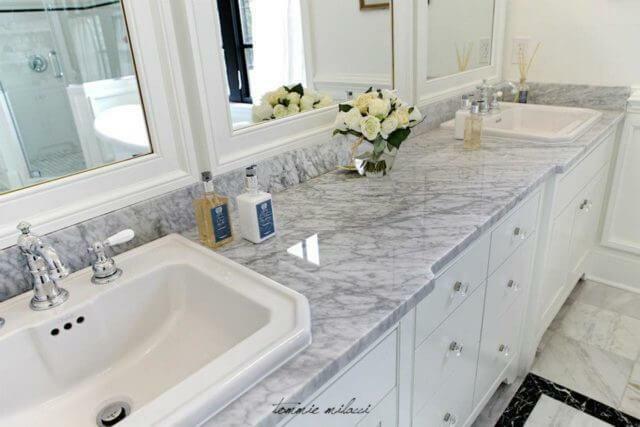 Marble countertops is a luxurious material that has been popular throughout the ages. Used by great sculptors such as Michelangelo to create masterpieces, Marble is sure to transform any kitchen or bathroom into a work of art. With its variety in color and a unique veining pattern to it, Marble is one of the most beautiful materials used to create countertops. However, just like Granite countertops, if not sealed perfectly and not taken care of, Marble will stain and will be exposed to bacterial growth. But if it treated properly, Marble will serve you beautifully for decades, making your kitchen into the masterpiece that you want it to be. 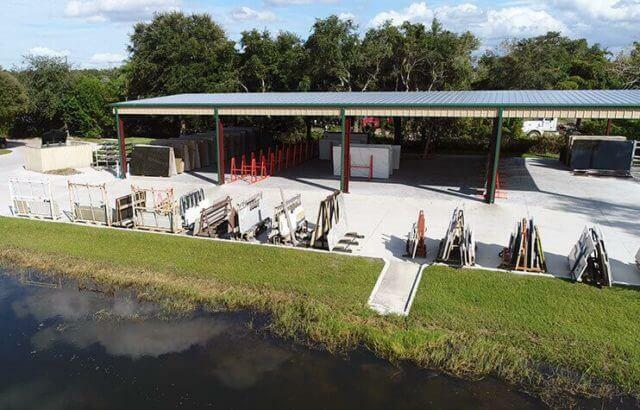 We offer the best service and price in the Orlando area! Please call us today to schedule a free in home consultation and estimate. We will contact you in 10-15 min. Take you time and use our CALCULATOR	to estimate your square footage.